Roy Moore was an unannounced surprise speaker at a Southwide Baptist Fellowship Meeting I attended in the 1990s. He taught an excellent lesson on the Biblical basis of separation of church and state. I have also read his autobiography and agree that these allegations smell like they were cooked up by liberals and the Republican Establishment to keep a godly patriot out of the Senate. 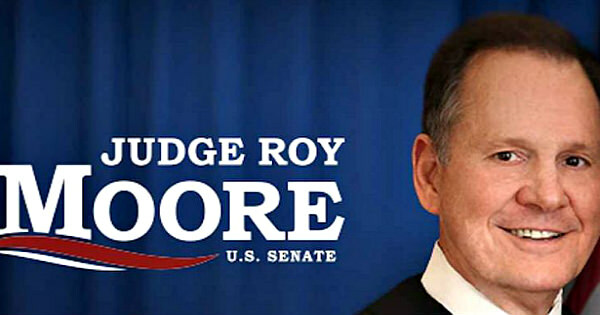 Roy Moore will stand against the “swamp” instead of being absorbed by it, and the possibility of his being elected terrifies those with a stake in preserving the system and their power within the system. As Moore has stated, with all the races and controversy he has been involved in, if any of these recent allegations had been true, they would be already known and his career would have then ended. The accuser who claimed she was 14 at the time has been shown to have ties to the Clinton machine which severely damages her credibility. Companies that pull their ads from Hannity mollify one segment of their customer base while alienating another. Their sales will show which segment is more important to their bottom line.